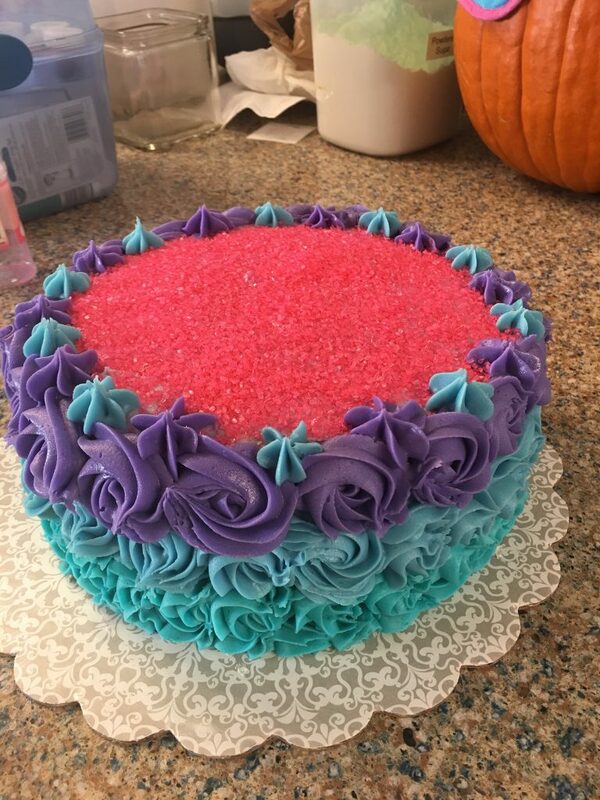 October Recap and a Recipe! October was a really busy, not so amazing month. C was pretty much sick the entire time, we even got lucky enough to experience our first allergic reaction. Meanwhile, E was losing his mind – which forced a meds change – and A was seen for an Endocrine Checkup. We were definitely very very busy. In the midst of it all, I agreed to host my nieces 1st Birthday party! I love to host and I was happy to open my house up and bake the cakes (which we will get to soon). I was really looking forward to that weekend and the events that we had planned, as Halloween was just around the corner. Then, on Wednesday, I was told my great aunt had died. My celebratory mood disappeared. To make matters worse, the funeral was scheduled for that Friday. There was no way that I could help with the birthday and be at the funeral. Life is about choices. My family has always said it is also about the living. So, I stayed, heartbroken. Seriously, there isn’t anything I enjoy more than being able to develop a recipe, bake something delicious and serve it to my family. So, I got to the kitchen and I created something. 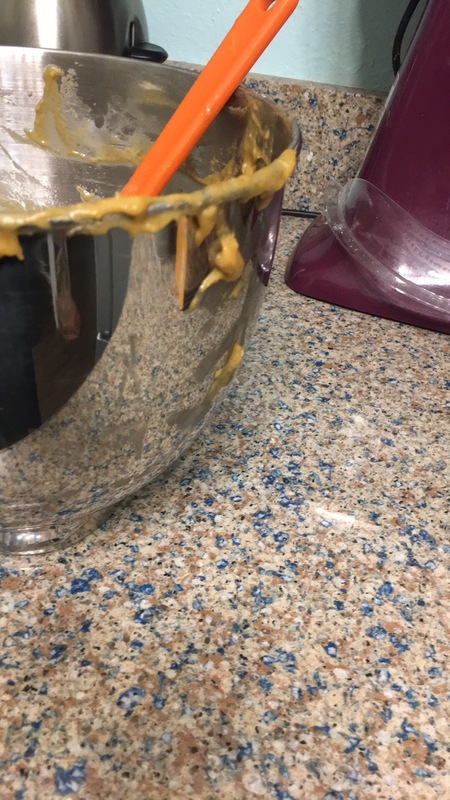 It started because I had baked a sugar pie pumpkin and only got about a cup of pumpkin puree out of it. Most pumpkin cake recipes I could find were calling for a 15 ounce can. That wasn’t going to work for me. I started mixing ingredients and decided to bake a tiny ramekin to be sure it would work and then bake the entire 1st birthday cake with the batter if it was a success. Without further ado… My Pumpkin Spice Cake Recipe. Start with a cup of pumpkin. I have now tried both canned and fresh – it worked either way! Mix it with a half cup of melted butter. Then add in 3 large eggs, one at a time and a half cup of sour cream. From there, add 1 cup white sugar and a half cup of dark brown sugar and a teaspoon of vanilla. Meanwhile, in a separate bowl, mix 2 cups of flour with 1tsp of baking soda, 1 and 1/2 tsp of pumpkin pie spice and a half teaspoon of salt.Gradually add the dry mix to the pumpkin mixture. Be careful not to overbeat! Lol… that just autocorrected to over eat. Also true!Pour the mix into 3 well greased 9 inch cake pans. Bake at 350 for 20 to 25 minutes until set. Then cool completely! 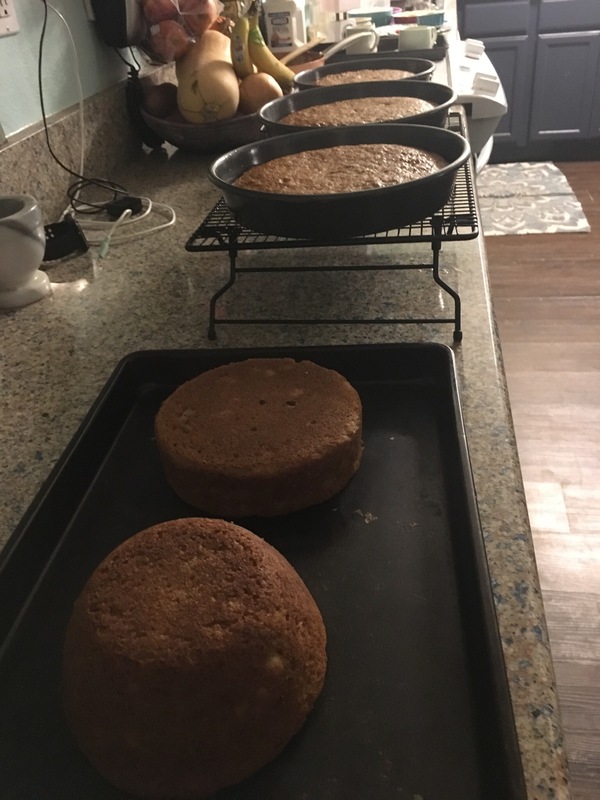 After the cakes are fully cooled. Fill and decorate as you wish! I used a variation of this yummy whipped cream! If you try this, let me know! This sounds good! I have some frozen pumpkin to use up… I am going to try subbing the sugar for maple syrup and see how it turns out. Thanks for sharing and I’m sorry October was such a rough month, mama! Thank you! Let me know how the maple syrup goes! I bet the flavor will be amazing! Absolutely! That recipe was fabulous and perfect for fall! I baked two sugar pumpkins hoping to make two pies, I was shocked to find I only had enough for 1. Thank you for sharing your recipes! Hopefully November is a smoother month for you and your family. There really isn’t a lot of meat to them at all! Enjoy the recipe! We made it again today!